Mario Games : Explore the whole new land in the Mushroom Kingdom to rescue Princess Peach! 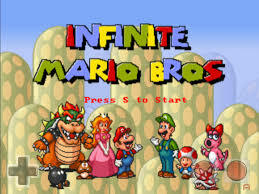 Infinite Mario Bros will take you to completely new tables. You will not know what is waiting for you in front of you. Hop on new lands, smash boxes of question mark and destroy the Koopa Troopas and Goombas in your way!